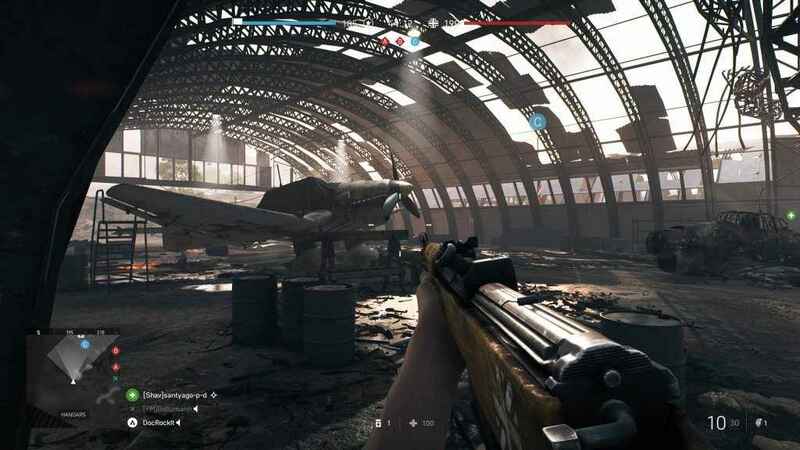 A massive Battlefield 5 update will be released today. This will tackle many issues with the games latest mode, Firestorm, but will also include the usual balancing and fixes. Firestorm is Battlefields Battle Royale mode and by all accounts has received praise since its launch. It has however needed a few tweaks mainly due to players not happy about the loot system and its UI elements. A large focus in this update has been to further improve our battle royale mode, Firestorm. Among the tweaks are improved loot behavior, better interaction with safes, fixed visual issues, and making the Flare Gun usable while in water. We’ve improved our other multiplayer experiences, too. The tweaks include adding the soldier stance icon from single-player, which many of you have requested. On top of this, we’ve made multiple stability improvements, bug fixes, and quality-of-life enhancements. As is standard with Battlefield update notes, it reads like War and Peace so I will not include everything here. We will include a link to the full patch notes at the bottom of the article. There are some great additions though that I would like to mention. With Firestorm being a relatively new experience there are a lot of bugfixes in this update. Along with that, there are a lot of map fixes for Halvoy, with it being such a large map, the biggest in the franchise, this is expected. We have had occasions where we got stuck in certain conditions, so hopefully that’s fixed, making the Firestorm experience a smoother one. There is the normal swathe of weapon tweaks, balancing and bug fixes. Along with some weapon and vehicle fixes and changes. One of the bugs that really bothered us while we have been playing has hopefully been fixed. The issue where the ticket score is not visible when playing a match, this was very irritating but is now hopefully a thing of the past. Also included are the normal UI fixes, class fixes and a lot of general tidying up. We do like the effort the Battlefield team put into these updates. Not only squashing bugs but making the experience a better one and listening to fan feedback. Here is a link to the full patch notes. Have you tried the patch? Any improvements? How is Firestorm now?